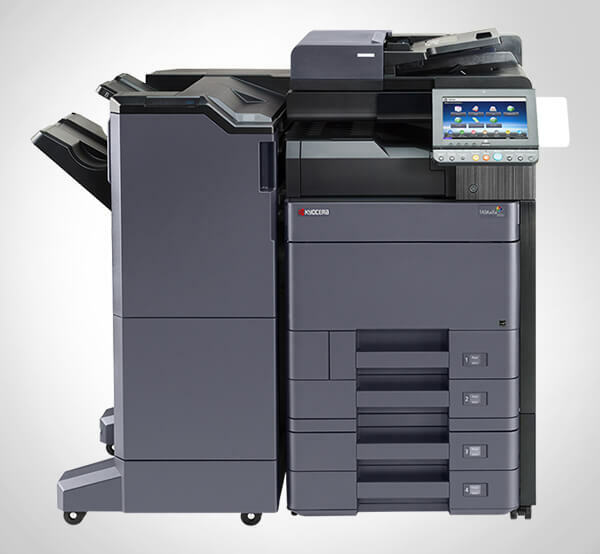 Advanced Office is Southern California's preferred Ricoh and Lexmark dealer. Over the past three decades, we have provided more than 30,000 businesses throughout Orange County, San Diego, Los Angeles, and the Inland Empire with exceptional deals on copiers, printers, and other office automation products. Our local inventory includes Ricoh's wide selection of printers, multifunction copier systems, digital duplicators, production printers, faxes, and more, as well as Lexmark's printers and multifunction devices. Advanced Office is not only the leading authorized Ricoh dealer for their Western Region, but also the 12th ranked Ricoh dealer in the nation. We have the experience and training necessary to help you make the best purchasing decision possible when you want to invest in an extremely reliable, high performance machine for your business. We are as well-versed in Ricoh as we are with their related brands: Savin, Gestetner, and Lanier. Our sales and service teams receive training at Ricoh University and are fully certified to sell, lease, install, and service all of their current and discontinued commercial products, including configurable multifunction copiers, printers, production printers, digital duplicators, fax machines, and wide format printers. Being a Business Solutions Dealer, means that we have reached Lexmark's highest level of dealership. It also means that we are eligible for their best pricing and have access to special inventory and exclusive software solutions. Lexmark offers a broad line of award-winning printers and multifunction devices that not only feature fast, crisp printing, but also the ability to integrate seamlessly with the industry's most innovative software solutions for improved workflow. Every copier and printer purchased through Advanced Office is eligible for our all-inclusive service and supply agreement. This comprehensive and cost-effective plan includes toner, parts, labor, and routine maintenance--basically, everything but the paper and staples. We have a local dispatch and four offices throughout Southern California. Our service technicians are all manufacturer trained and always arrive in fully stocked vehicles. We respond promptly to our clients' service needs and are highly successful at resolving most problems on the first visit. If you are in the market for a new printer or copier, call Advanced Office today for a free workplace analysis and quote. Our sales consultants average 15 years of industry experience and will provide you with honest, professional advice to help you select the precise printer or copier to meet your needs and level of usage. With Advanced Office, your new copier or printer will be delivered, installed, and connected to your network usually within a week--a much faster timeframe than any of our competitors. Advanced Office is a member of the National Business Association and Select Dealer Group. I wanted to take the time to let you know what an amazing job Tony has done taking care of our firm's copier/printer needs over the years. Our latest adventure required coordinating . . .